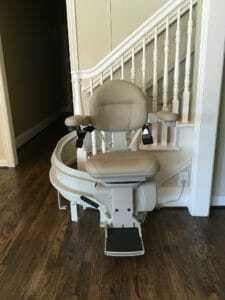 Will Medicare Pay for My Stair Lift? 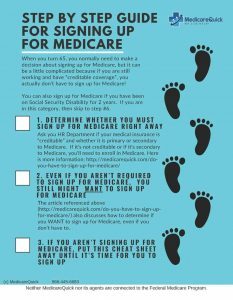 Medicare is a federal insurance program that provides healthcare coverage for people 65 and older. People with disabilities or a terminal diagnosis may also qualify for Medicare, even if they are under age 65. Medicare can provide coverage for medical visits, hospital stays, surgical procedures, medications, and certain types of medical equipment. It seems reasonable that when someone considers installing a stair lift solution in their home, they’d wonder if Medicare might cover this expense as well. Unfortunately, Medicare does not typically pay for stair lifts or other mobility equipment for the home. Medicare will provide some types of durable medical equipment, or DME. However, stair lifts are not classified as DME; they are considered non-medical mobility equipment. A stair lift is not considered a medical necessity for survival. Why would I need a Stair Lift? If it’s not a Medicare-covered expense, why should I install a stair lift in my home? Although it is not considered medical equipment, a stair lift can be an invaluable tool in reducing the risk of falls and their catastrophic consequences. Stair lifts allow someone with mobility concerns to live safely and independently at home, while providing peace of mind for loved ones who are concerned about their safety. Stair lifts are battery operated devices, with a motor and seat attached to a track. The track is secured directly to the treads of the stairs on stanchion feet. Stair lifts have the following standard safety features: seat belt, obstruction sensors, armrest controls, and call/send remotes. Stair lifts are designed to transport a person in comfort in a seated position. Inclined platform lifts (IPLs) work similarly, but bring a manual wheelchair up the stairs on a platform. IPLs are not designed for a person to operate while standing on the platform. Some people mistakenly believe that the reason Medicare doesn’t pay for stair lifts is that they are expensive. In fact, to my knowledge, no health insurance will pay for stair lifts. The reason they aren’t covered is because they are not classified as medically necessary, not because of their price. Depending on the type of stairs, a lift solution can be very affordable. The price range is dependent on the layout of your stairs. If you are considering investing in a stair lift, contact a locally based, licensed provider like 101 Mobility and request an in-home assessment to obtain a price quote. Another misconception regarding Medicare and stair lifts is that ongoing maintenance requirements will mean additional claims, and that’s why the equipment isn’t covered. In truth, stair lifts require very little maintenance. We recommend an annual maintenance service that includes testing the batteries, lubricating the gear rack, and testing safeties. Batteries typically last 2-5 years and are usually quite reasonable to replace when needed. Stair lifts do not qualify for Medicare coverage for one reason: they are not classified as medical equipment and are not medically necessary for survival. Is a Stair Lift right for me? For Mr. and Mrs. Samuels, investing in a stair lift meant that they could continue to live safely and independently at home. It meant that Mrs. Samuels’ apprehension and fear was relieved. It meant that their adult children had peace of mind, knowing that the risk of another fall was greatly reduced. For others like the Samuels, even though Medicare won’t pay for the equipment itself, the Medicare benefits they enjoy may inadvertently help. Covered medical expenses may mean that unspent financial resources are available for stair lifts and other needed mobility solutions. Kindra French is co-owner of San Diego 101 Mobility and can be reached at 858-800-2820.